When you’re searching for storage facilities near Alpharetta, there are several things to keep in mind. Of course, price is a major concern, but there are also other important aspects to think about. Is the facility located in a good part of town? Is it secure? What kind of protection is offered? Will you have to store your items by yourself or will someone be there to handle the work for you? At Bulldog Movers, we understand the concerns that you have concerning storage facilities in the Alpharetta area, and we do our best to offer superiors storage space for a price that is fair and competitive with other companies in Metro Atlanta. 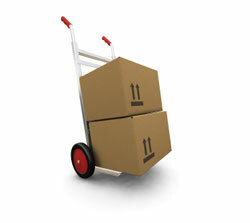 Our facility is 40,000 square feet in total, so there’s plenty of room for whatever you need to have stored. Also, we custom-build wooden crates to store items in, and we keep the crates off the ground to protect them from damage. And if you’re worried about security, you can rest easy knowing that we have surveillance cameras guarding our facility at all hours of the day. When the time comes that you’re ready to move your items out of storage units and into your house, apartment, or office, allow Bulldog Movers to do the job for you. We have nearly 30 trucks and a team of over 100 moving professional to get the job done. Also, whether you’re moving in Georgia, across state lines, or anywhere worldwide, we’ll gladly complete your move for you. If you’re interested in space at our storage facilities near Alpharetta, please call or e-mail Bulldog today.